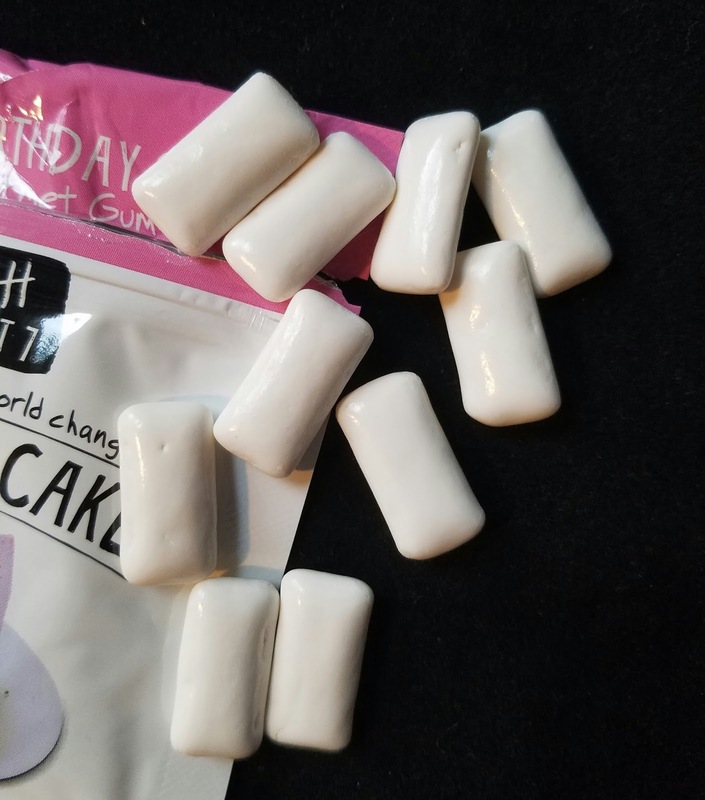 Obsessivesweets.com celebrates the infusion of birthday cake flavor into myriad sweets, but in the case of gum it just isn't a great combo. Gum is meant to refresh or clear the palate, whereas this sugar free Project 7 Birthday Cake gum infuses so many new flavors that are not in the least bit cleansing. 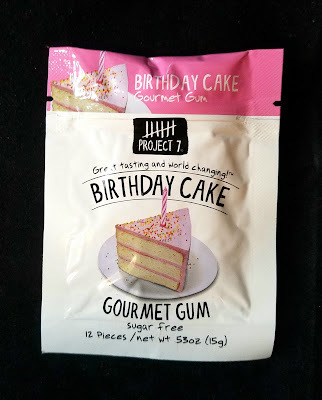 In fact, I needed a piece of gum to refresh from the birthday cake gum. Project 7 does a good job approximating wild flavors and a lot of them are fantastic (see Project 7 Rainbow Ice review). But in this case, skip the birthday cake chicle and reach for the Trident.